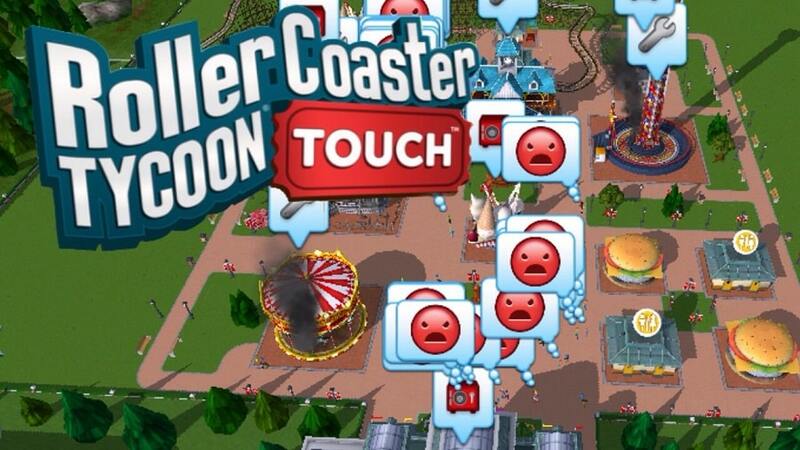 Roller Coaster Tycoon Touch is one of the best games that you can play using Android and iOS phones. Although it is meant to be played using smartphones, tablets or touchscreen devices, you can still play it by using emulators to install it to your computers. Card Packs – you can create fun and imaginative parks by gathering card packs that are filled with exciting rides and coasters. You can collect card packs, through leveling up, completing missing and/ or visiting the card shop to get different types of rides, missions, and scenery for your park. Park Attractions – you can customize your park and attract guests by choosing different types of ride, walking paths, park decorations, shops, and restaurant. Park Management – you can create manage and have a successful park by maintaining a satisfactory level for your guests by having cool activities and design. To check these you can click the Park Management panel. Coaster Builder – you can create a hyper, wooden, iron and steel tracks, supports, coaster, and station with the help of track editor and a user-friendly splined based coaster. Social Features – you can share your park and play with your friends. 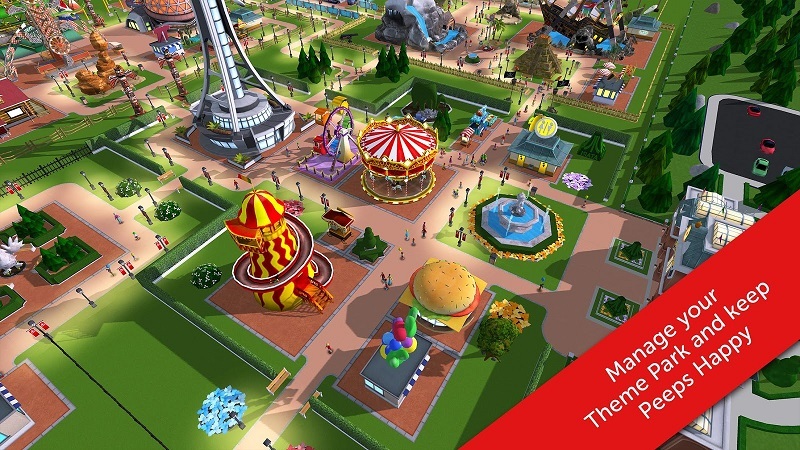 Cool graphics – coasters, buildings, park rides and park decoration are now in high-resolution 3D graphics. It also has a cool real-time cycle. Your goal in this game is to make the most impressive and attractive park, in order to do this, you need to level up. Leveling up gives you a chance to unlock a restaurant, decoration, and building which is pretty obvious. You should maintain an awesome and interesting park, and everything you build affects the graph of food, fun, and hygiene of your guests. In order to know if you made the right move or decision check these bars: Fun (build more rides if this bar is low), Food (build more restaurant if this bar is low) and Hygiene (you should build more bathrooms if this bar is low). This is very important, everything you in this game requires coins, but it is hard to earn fast in the early stage. So if you are out of coins, there are some ways to earn faster you can either set your ticket price higher but not too high for it may scare guests, you can also add more attractions or you can buy coins but it requires real money. Tickets for the game are valuable, you can’t earn them often unlike coins. Tickets can be used for completing missions and buying more card packs. If you really need experience points use this to complete the mission but if not use it for card packs instead. One of the coolest features of this game is that you can get to design your own coasters. To do this, you will need these cards: tracks, station, chain lift and of course, train. There are some additional cards but these four are the basic ones. To build longer and thrilling coasters level up your track cards. Sometimes when playing RollerCoaster Tycoon Touch, bluestacks ask you fee to pay but gives you option to download some apps. Every time it asks you just select “Install apps” and continue using it free. I hope you enjoyed this article, please rate and share. 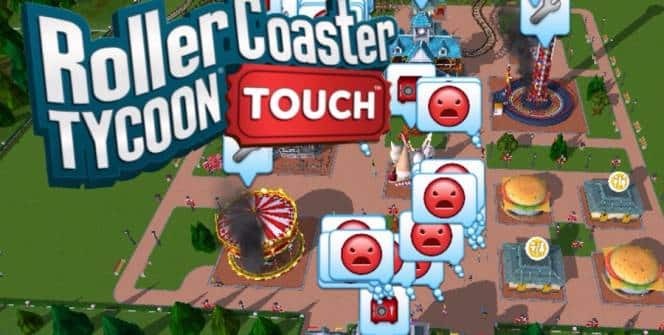 If you have problems running RollerCoaster Tycoon Touch on your desktop or any other issues, leave a comment below.